Black has just played 9...Ke7, and White replied 10 Qa3 mate, which was described as an ‘airplane checkmate’ on page 292 of The Fireside Book of Chess by Irving Chernev and Fred Reinfeld (New York, 1949). Were they the inventors of that term, and how exactly might it be defined? Other writers have gone their own way. Page 107 of Chess More Miniature Games by J. du Mont (London, 1953) dated the gamelet 1897, whereas on page 26 of 500 French Miniatures (Collection II) by Bill Wall (Moon Township, 1995) Black’s name was given as Lugatsca and the occasion as New York, 1938. 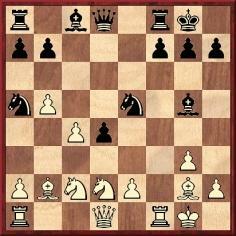 Page 110 of The Quickest Chess Victories of All Time by Graham Burgess (London, 1998) stated that White was Karth. Following criticism of him in Lasker’s book Mein Wettkampf mit Capablanca (Berlin and Leipzig, 1922), a reply by Capablanca was given on pages 376-380 of the October 1922 BCM. 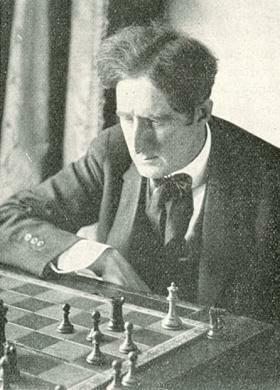 As mentioned on page 195 of our volume on the Cuban, Lasker subsequently stated (see, for instance, page 37 of the February 1927 American Chess Bulletin) that he had submitted a response to the BCM but that it was returned to him unpublished. Is that text of Lasker’s available anywhere? ‘Counter-attack is the best form of defence’ is a familiar chess dictum, but when was it first formulated? 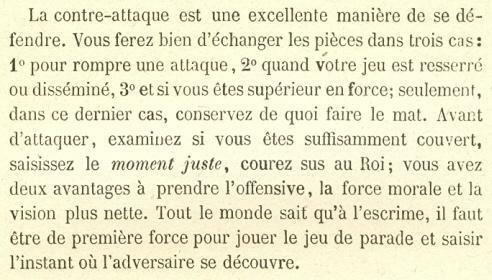 The best citation we can currently offer is ‘La contre-attaque est une excellente manière de se défendre’ on page 51 of Nouveau manuel illustré du jeu des échecs by J.A. de Rivière (Paris, 1892). That was not the first edition of the book, so it may well be possible to trace the idea further back. ‘15. A Pawn that is pushed two steps may be taken “en passant”, by the adversary’s Pawn. In the early part of the programme Bob Hope (‘Hopeski’) was shown enduring a lonely wait at the board. 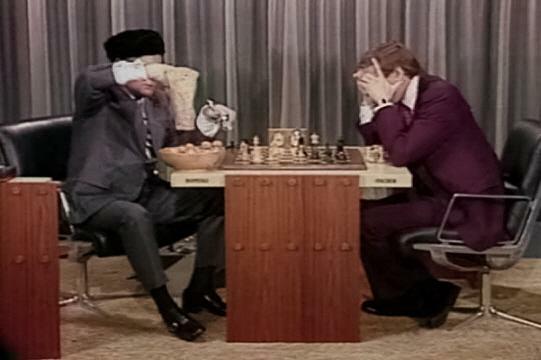 The world champion’s eventual arrival led into some rather wooden banter (naturally covering such topics as unpunctuality, cameras, noise and money), whereafter the comedian played 1 c4 and won a top-speed game during which he muddled chess and checkers and elicited the loudest possible racket from a bag of nuts. 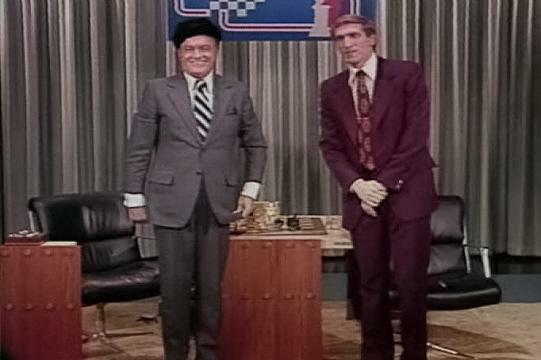 Although the cue-cards were successfully kept off-camera, the production and editing were choppy, with, even, Hopeski’s king and queen switching places between two shots at the start of the game. The sketch lasted six minutes. 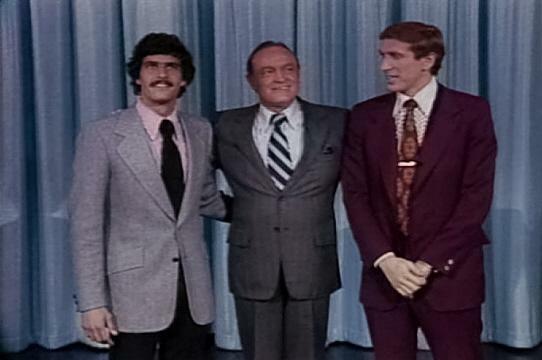 Fischer received a very warm reception, although not the standing ovation accorded to Mark Spitz. 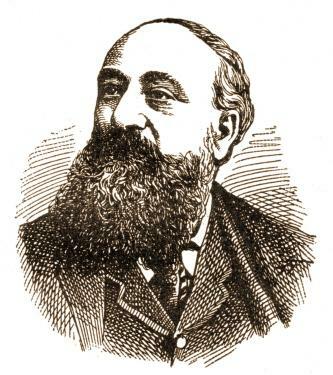 C.N.s 3753 and 3800 discussed a claim that Armand Edward Blackmar composed music which was included in the film Gone with the Wind. Now Djordje Petrović (Belgrade) draws attention to an article ‘Songs of the Civil War’ by Charles Hamm. Without providing the details sought, it offers interesting background information, mentioning Gone with the Wind and Blackmar. 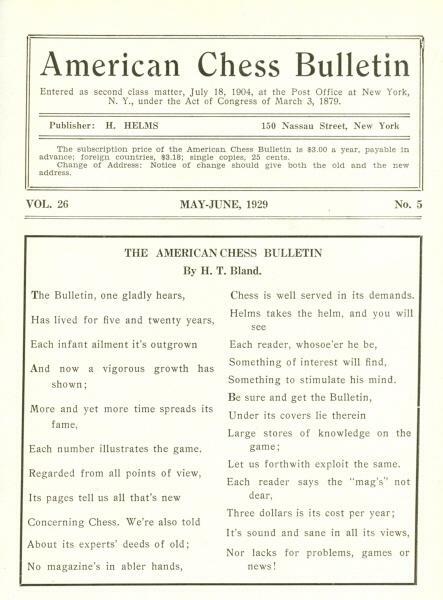 The rules for New York, 1924 were given on pages 27-28 of the February 1924 American Chess Bulletin. The time-limit was 30 moves in the first two hours and 15 moves an hour thereafter. The playing hours stipulated there (13.30-17.30 and 19.30-23.30) were subsequently amended to 14.00-18.00 and 20.00-00.00 (American Chess Bulletin, March 1924, page 49). 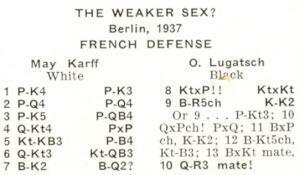 For Capablanca’s score-sheet of his victory over Lasker see page 80 of A Picture History of Chess by Fred Wilson (New York, 1981). Tim Harding (Dublin) comments that a specimen of Gossip’s signature given in the May 2001 BCM, page 265, ‘does seem to support the Hatfeild spelling’. He adds, further to the Gossip entry in Jeremy Gaige’s Chess Personalia (Jefferson, 1987), that the reference for the death certificate mentioned by Gaige is Petersfield 2c 84. Does any reader have a copy of the certificate? As indicated in C.N. 5075, the ‘Hatfeild’ spelling became common usage after its appearance in The Oxford Companion to Chess in 1984. Earlier, the Companion’s co-authors had used ‘Hatfield’ on page 306 of the October 1964 BCM (D. Hooper) and on page 408 of the September 1979 BCM (K. Whyld). As noted in our feature article Gossip, it was Hooper who revealed, in 1964, where and when Gossip died (in Liphook, Hampshire, England on 11 May 1907). 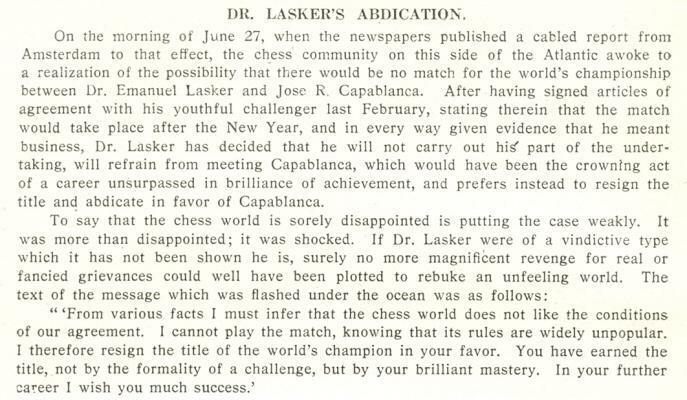 Javier Asturiano Molina (Murcia, Spain) notes that a slightly different wording appeared in Lasker’s letter of 18 June 1920 to Capablanca, written from the Hotel Stadt Elberfeld, Amsterdam. 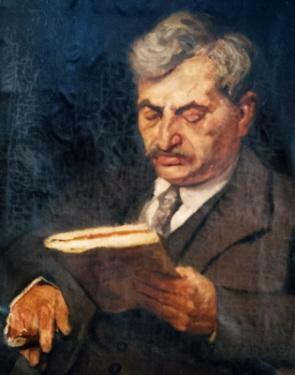 It was reproduced on page 214 of The Collected Games of Emanuel Lasker by K. Whyld (Nottingham, 1998). David DeLucia (Darien, CT, USA) informs us that he owns a letter dated 17 June 1920 written by Lasker to his wife, from Huize Parkzicht in Amsterdam, in which he stated that he had resigned the world title that day. The document will be appearing in a book on Mr DeLucia’s collection which he is currently preparing. 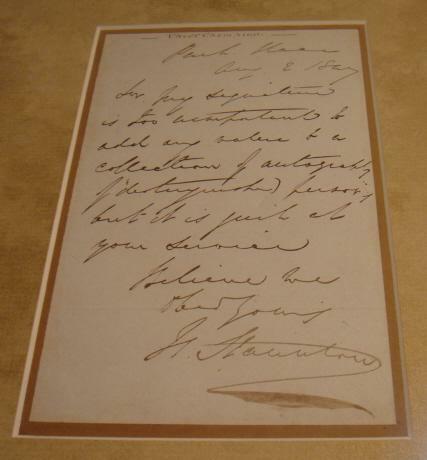 Milan Ninchich (Macquarie, ACT, Australia) enquires about the original price of the first Jaques club-size Staunton set (dated 1849) and asks what is known about the boxes which Staunton signed and numbered by hand. 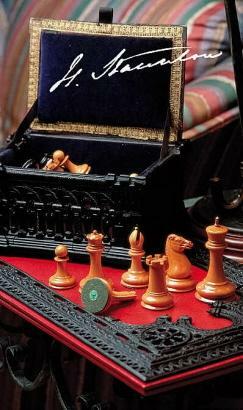 It shows the price of an unweighted boxwood and ebony set with a 3-3/8” king in a carton-pierre casket: £1 15s 0d. The price of the club-size set, loaded with lead, was £2 5s 0d. 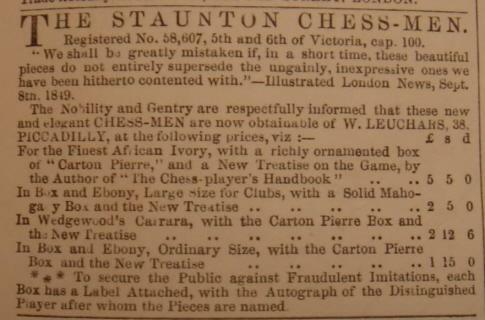 By contrast, the club-size set made from African ivory was £9 9s 0d in the extra-large carton-pierre casket and £10 10s 0d in a Spanish mahogany case with two partitioned fitted trays for the chessmen. I have seen hand-numbered labels as low as 10. 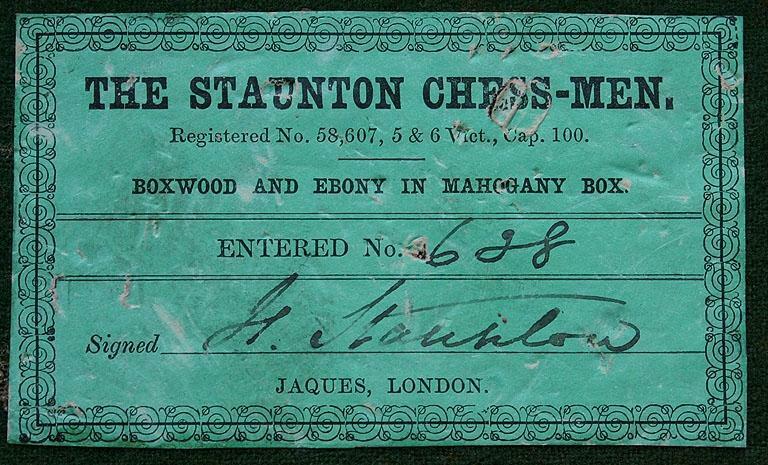 There was a series of numbered labels which followed, all having a facsimile signature of Staunton and a printed Entered (production) Number. The labels came in three colors: green, yellow and red. The green labels were found only on wooden sets, all sizes, in mahogany hinge-top boxes and were numbered from 1,000 (1,001?) to 1,999. I have seen labels numbered between 1,009 and 1,975. The yellow labels bore numbers from 2,000 to 2,999 and were found only on carton-pierre caskets which housed the smaller (2-7/8” and 3-3/8” kings) unweighted Jaques boxwood and ebony sets. The weighted sets (which were made only in the 3-3/8”, 4” and 4.4” king sizes) could not be housed in the carton-pierre caskets since they would “break through” the sides of those relatively fragile caskets. Finally, the red labels bore numbers from 3,000 to 3,999 and were reserved for ivory sets. Ivory sets were housed in carton-pierre caskets (of which there were three sizes), blue velvet-lined mahogany boxes and the large-fitted (Spanish) mahogany caskets. After that, the labels were not numbered. 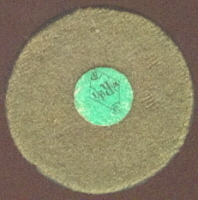 There is also a story surrounding the small green round registration stickers found under the bases of the earlier Jaques chessmen. Do readers have any information? We wonder whether a ‘ticket tournament’ is the same as a ‘tombola tournament’, a term mentioned in our feature article The Saburovs. 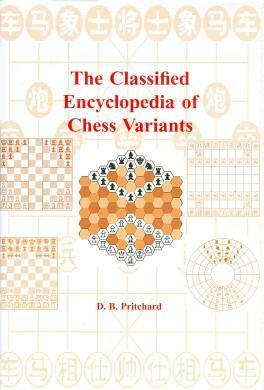 The Classified Encyclopedia of Chess Variants by D.B. 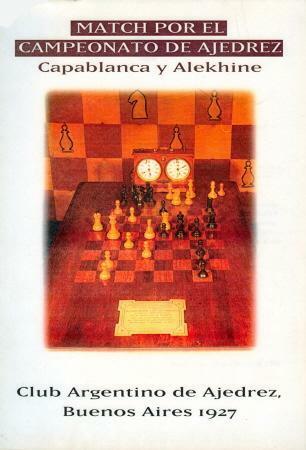 Pritchard (Harpenden, 2007) is an updated edition of his 1994 volume The Encyclopedia of Chess Variants, having been ‘completed and edited by John Beasley’. We had extensive correspondence with the late David Pritchard as he prepared, over many years, his 1994 volume, and John Beasley justly notes on page 15 of the new Variants book that D.B.P. ‘stood head and shoulders above anyone else in this field’. For his part, Mr Beasley has carried out the editorial work in fine style, making this one of the best recent chess books. Javier Asturiano Molina (Murcia, Spain) draws attention to a webpage on isolani by Olle Ekengren. 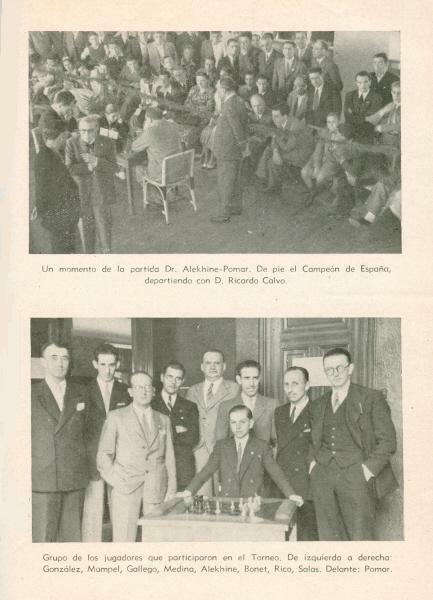 This photograph, with Capablanca standing third from the left, was given on page 209 of Chess Facts and Fables, but only in a small format, and we therefore show it here in a full-size version. It comes from The Columbian 1909, page 140. This is doubly wrong, since the Handbook first appeared in 1847. See also the census information about Blackburne in C.N. 4756. Catherine Glynn (Southampton, England) asks for information about the chess writer and poet Henry Thomas Bland. Whom naught could upset whatever might hap. But made no excuse for what he had done. 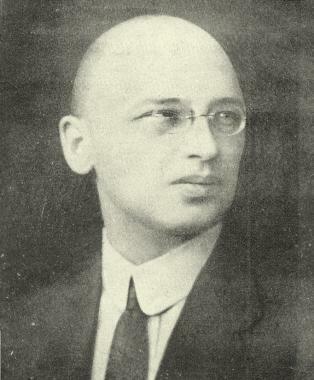 The Bulletin published many other specimens of his dodgy dogged doggerel, and his prose contributions included an inconsequential feature on Blackburne (March 1929, pages 46-47) and two brief, vapid sets of ‘Chess Memories’ (March 1930, page 51 and April 1930, page 75). 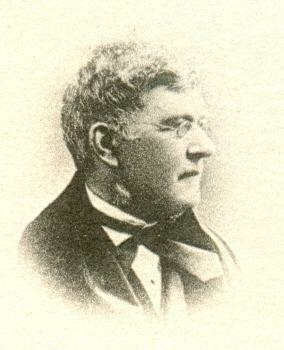 That year Bland produced a compilation of his verse and prose, under the title Chess in Lighter Vein. Dishearteningly, the 48-page brochure was welcomed not only by the Bulletin (September-October 1930, page 154) but also by the BCM (August 1930, page 280). The self-publication was available from Bland at 25 Harvey Road, Wallasey, Cheshire, England. 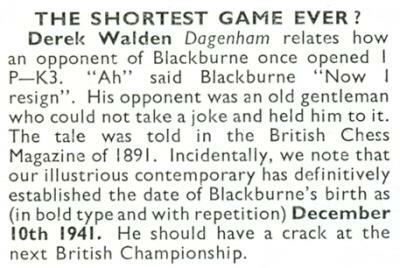 On page 184 of the November 1931 Bulletin Bland referred to ‘my late brother, Mr W.R. Bland’ having been responsible for chess problems in the BCM under the magazine’s first editor, John Watkinson. If that information is correct, the American Chess Bulletin misstated H.T. 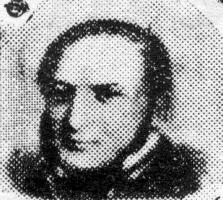 Bland’s age (‘70 years of age when he died’) in the obituary published on page 147 of its September-October 1932 issue. Following details supplied by his brother-in-law, Mr A. Dalby of South Hill Park, London, the Bulletin added that Bland ‘was born near Derby and worked in the secretary’s office on the Midland Railway. 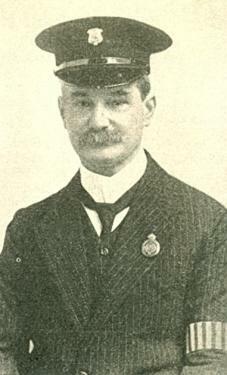 ... After his retirement from the railway some years ago, he had lived in Southport and London’. It may, though, be wondered whether ‘Southport’ is correct, since Gaige lists him as having died in Stockport. 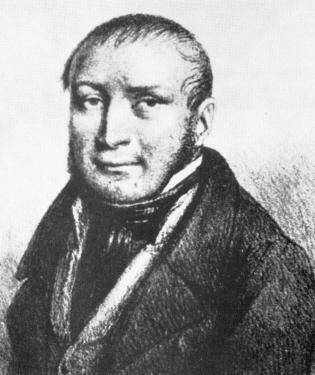 The Bulletin recorded that Bland died a few days after attending the chess congress in Cambridge. 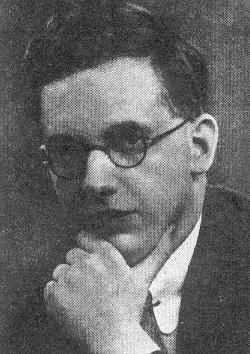 We note that he played in the Second Class tournament there, finishing last with a score of +1 –7 =0 (BCM, May 1932, page 196). Among the leading chess masters of the past, one stands out as particularly difficult to grasp in terms of personality and character: Isidor Gunsberg (1854-1930). He is the only world championship challenger on whom no book has been written, and there is even a dearth of ‘human’ articles. Do readers know of any little-known ones which shed light on him? However, Marshall is shown examining an incorrectly-set board. It would not seem to be a photograph mistakenly reversed, given that he customarily parted his hair on the left. Perhaps a reader would care to deal with the biographical matters raised by our correspondent. Articles about the Döry Defence (1 d4 Nf6 2 Nf3 Ne4) appeared in the Wiener Schachzeitung of. October 1936 (pages 293-295) and December 1936 (pages 359-360), the writers being Immo Fuß and Ladislaus Baron Döry respectively. The features were the subject of brief items in the BCM of January 1937 (page 22) and March 1937 (page 140). 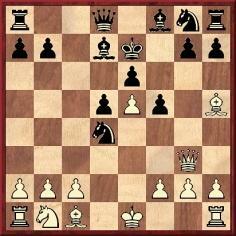 16...d3 17 exd3 Nxd3 18 Bd4 Nb4 19 Nf3 Nxc2 20 Qxc2 Be6 21 Rad1 Bxc4 22 Bc5 Qc8 23 Qf2 Bd8 24 Rxd8 Rxd8 25 White resigns. 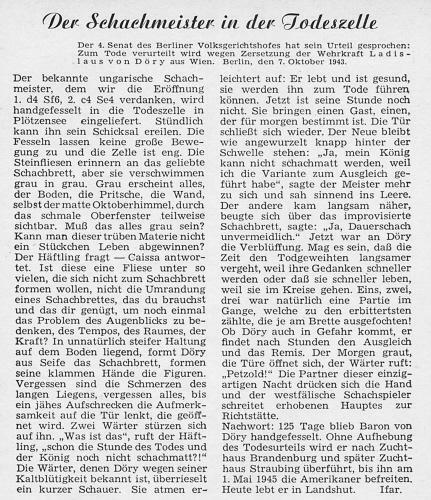 Source: Wiener Schachzeitung, June 1937, pages 173-174. 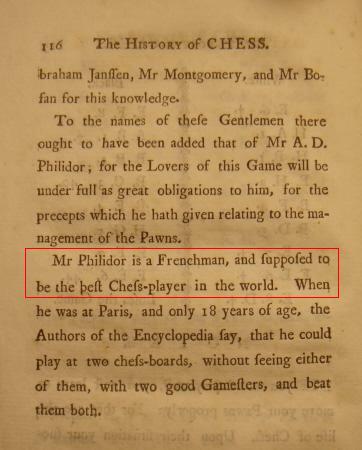 We note that page 177 of the 1994 edition of Jeremy Gaige’s Chess Personalia indicates that the Baron was still alive in 1947. Reference is made to a source not in our collection: ‘Schachspiegel, 1947, page 124’. Could a reader provide Tartakower’s article in Magyar Sakkvilág? 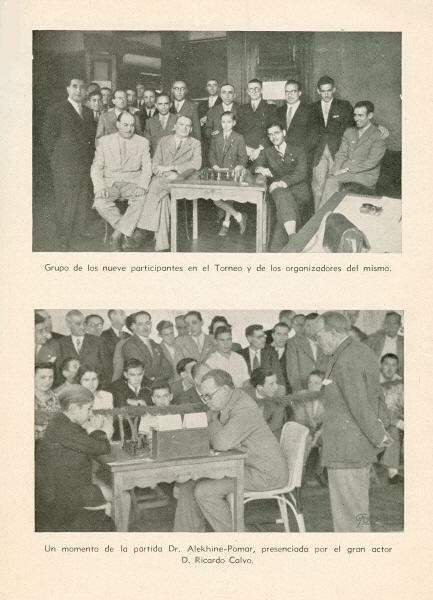 Our correspondent notes that elsewhere in his report in La Prensa Tartakower mentioned Spielmann as one authority who had predicted that Alekhine would not win a single game in the Buenos Aires match. Mr Sánchez also provides an article by Hartwig Cassel (1850-1929) on page 2 of section 3 of the 21 August 1927 issue of La Prensa, although it was written in June (in New York). 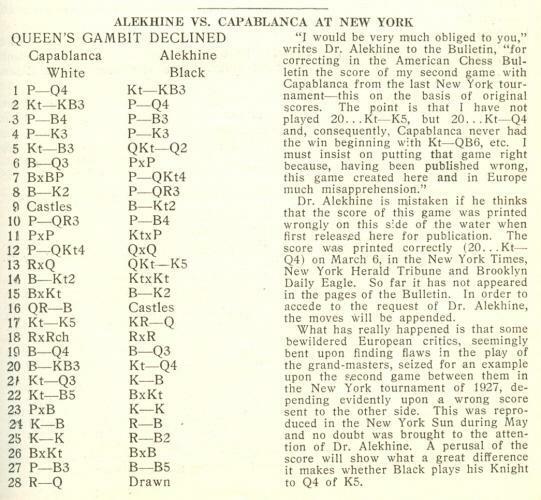 Cassel reported that in the opinion of the New York chessplayers the Capablanca v Alekhine match would not be of interest, as Capablanca would win easily. He stated that, on the basis of recent tournament results, Lasker and Bogoljubow had a greater right to challenge the Cuban, as Alekhine lacked the requisite stature for the match. 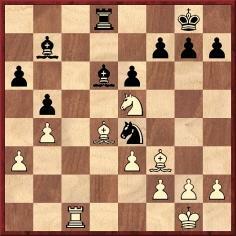 ... and that Capablanca had played 1 Nd3, the game being drawn a few moves later. Instead, wrote Cassel, 1 Nc6 Bxc6 2 Rxc6 would have caused the loss of Black’s a-pawn, after which Capablanca might well have won the game. 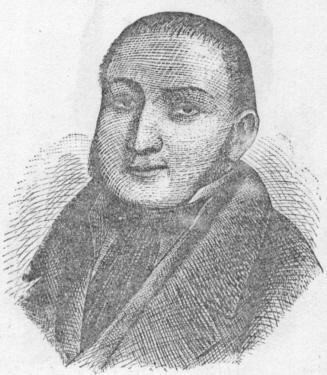 The New York Sun (mentioned by the Bulletin) had as its chess columnist Hartwig Cassel. For an English version of the note, see page 308 of the Skinner/Verhoeven book on Alekhine. 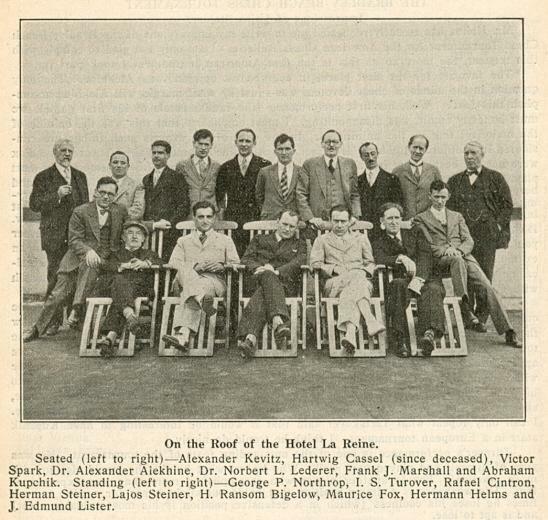 Finally, page 117 of the July-August 1929 American Chess Bulletin had a photograph taken at Bradley Beach, 1929 which featured both Alekhine and Cassel. The latter died about a month afterwards. 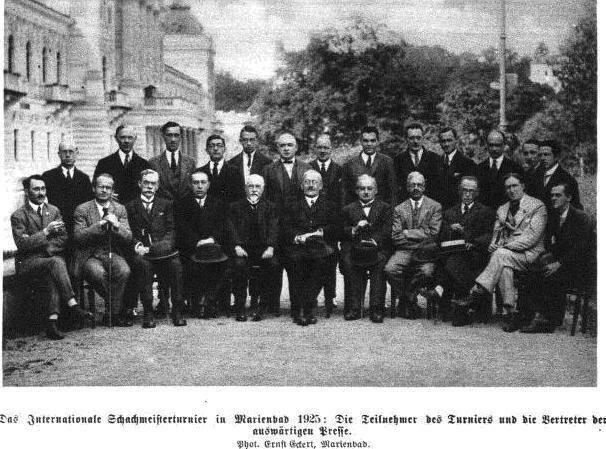 The person between Herman and Lajos Steiner is not identified. A very rare book published in Buenos Aires in 1994, Match por el campeonato de ajedrez Capablanca y Alekhine, reproduces about two dozen letters and telegrams exchanged by the two masters and the organizers, and an item of particular interest is a letter written on 18 October 1927 by Alekhine, in French, on stationery of the Majestic Hotel, Buenos Aires. 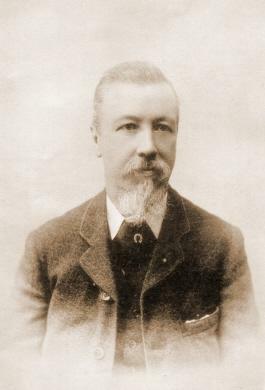 The recipient was the President of the Club Argentino de Ajedrez, Lizardo Molina Carranza, to whom Alekhine complained of having read in the morning’s newspapers that game 17 would be played at the Jockey Club. Refusing to accept this, Alekhine commented that the previous day game 16 had been played there under conditions contrary to the spirit and letter of the match rules. 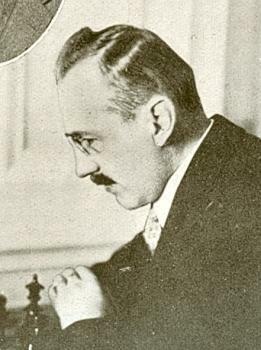 In view of the unbearable noise in adjoining rooms, Capablanca had been obliged to stop his clock, thereby breaking off the game (an occurrence ‘probably unique in the annals of the world championship’). Finding mental effort impossible in such circumstances, Alekhine had accepted Capablanca’s draw offer despite having the better position. ‘A. Mon adversaire, vu le bruit insupportable qui régnait dans les pièces adjacentes à celle où se jouait la partie, se vit obligé à arrêter la pendule, suspendant ainsi de propio avisu [sic] le jeu, chose probablement unique dans les annales des championnats du Monde. It may be recalled (see C.N.s 824 and 861) that it was in connection with game 16 that the story arose of Capablanca falling asleep at the board. 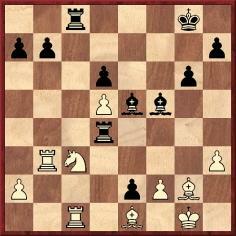 For example, on page 44 of Le match Capablanca Alekhine (Brussels, 1929) V. Soultanbéieff commented that, according to the United Press, this had occurred while Alekhine was reflecting on his 19th move and that Capablanca was not awoken by the match director until it was his move. 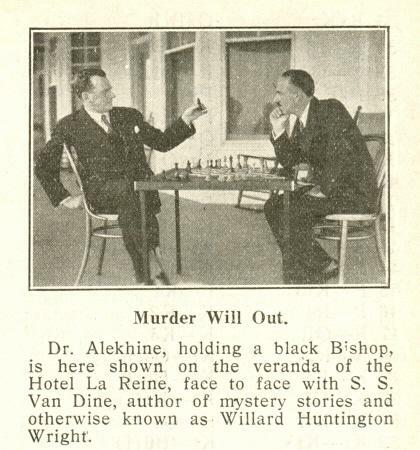 A footnote on the same page stated that Alekhine had denied the sensational story. ‘My decision to agree a draw so early is explained only by the quite unusual circumstances in which this game took place. In fact we were playing in the Jockey Club, not the usual venue, and it was so noisy there that we were forced to adjourn at move 24, i.e. even before the time control, in order to allow time for things to calm down. Later on, however, I was no longer in the mood for deep thought, and the game was agreed drawn without further ado. 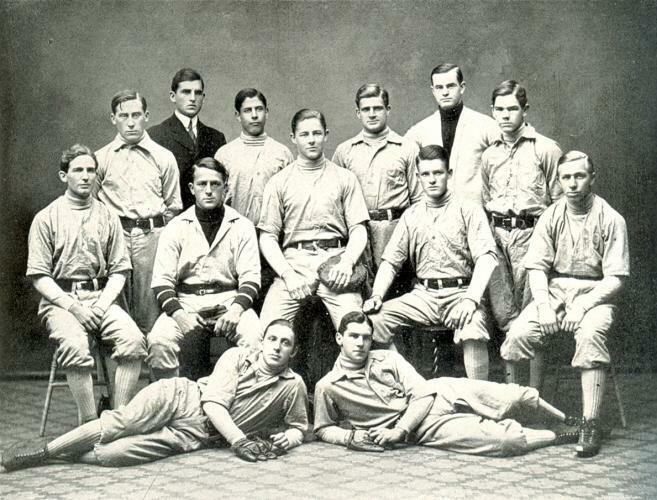 The photograph appeared at the start of the tournament book, with the caption ‘Tournament participants and guests’ (‘Teilnehmer und Gäste des Turniers’). Mr Kalendovský reports that it was originally published in the Wiener Bilder, 7 June 1925. C.N. 4329 referred to the famous remark about an isolated pawn spreading gloom all over the chess board, a ‘Tartakowerism’ so often seen on the Internet without any source. ‘The requested article about Baron Döry on page 124 of Schachspiegel, 1947 has kindly been provided by Peter Anderberg and Michael Ehn. It states that Baron Döry was sentenced to death for sedition in Berlin on 7 October 1943. His hands bound, he spent 125 days in a death cell at Plötzensee. Without abrogation of his capital sentence, he was subsequently taken to other prisons (Brandenburg and Straubing), and on 1 May 1945 he was released by American troops. 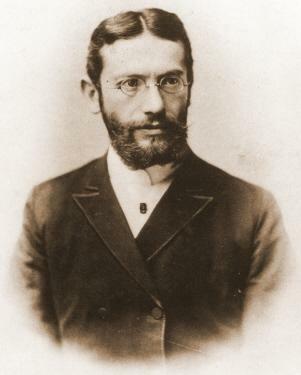 Standing between Torre and Przepiórka: Adolf Seitz. ‘Be more considerate to small boys.’ That request was made to Alekhine by Gerald Abrahams in 1936, as related on pages 135-136 of his book Not Only Chess (London, 1974). ‘And there was Alekhine, standing over the board, insisting on instantaneous replies. He thought, then made his move, rapped sharply on the table and made impatient sounds in Russian. After describing how differently Capablanca later behaved towards him in similar circumstances, Abrahams related that at Nottingham in 1936 Alekhine’s wife (‘a delightful American lady’) required assistance with a visa renewal. Although Abrahams stated that Alekhine faced 60 opponents, the master’s score given on page 403 of the November 1923 BCM and page 197 of the Skinner/Verhoeven book on Alekhine was +24 –1 =6. The exhibition took place on 29 September 1923. ‘This is based on the well-known (and only known) picture of the Frenchman, and Loyd wrote, “our portrait is taken from an oil painting made in London a short time before his death”. 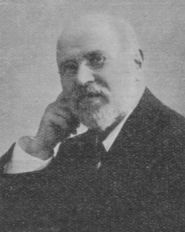 ‘His obituary in the London Times states that I. Gunsberg was born in Budapest on 2 November 1854 and died on 2 May 1930. It makes no mention of a wife or family, but Gunsberg appears to have married three times – to Jane, Miriam and Agnes. Jane  died, aged 38, at Wandsworth in 1891, shortly after the census. She was listed as Isidor’s wife in the 1881 census, and it seems likely that their marriage took place in London in 1879 , where his name is spelt Isidore Gunzberg in the index. Jane is probably Jane Isaacs. Three of their surviving children are in the 1891 census: Alfred (1884) , Herbert (1886)  and Lionel (1887) . 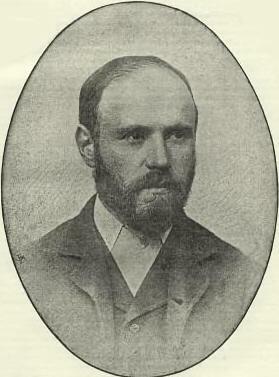 Isidor remarried as Isidor Arthur Gunsberg in 1893  at St Giles, London to Miriam Clarke. She died , aged 39, in 1897 at Barnet, having given birth to two daughters, Grace Winifred (1894)  and Miriam (1896) , both of whom are in the 1901 census. Having now five children to look after, he remarried  in 1898 at Lambeth to Agnes Ramage, recorded as Agnes Jane in the 1901 census. 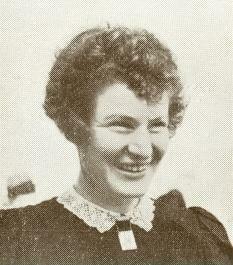 They had a daughter, Kathleen Ramage Gunsberg , in the 1901 census, aged two months. Isidor was now 46 years old and Agnes 38. He became a naturalized British subject , under the name of Isidor Arthur Gunsberg of 14 Honeybrook Road, Balham, taking the Oath of Allegiance on 12 May 1908 . On 13 December 1916 Gunsberg was successful in suing Associated Newspapers and the Chess News Agency for libel, winning £250 in damages. The report of the action in The Times  contains some interesting facts, namely that his father was a Russian Pole and that Gunsberg had been brought to England in 1862, aged eight. 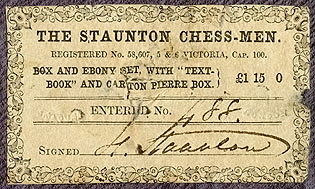 At the time of the trial he had been chess editor of the Daily Telegraph for 26 years. On 20 July 1923 , giving his address as 14a Lunam Road, Upper Norwood SE19, he filed for bankruptcy at the High Court. 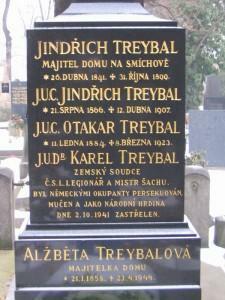 The bankruptcy was not finally discharged until 17 April 1930  in the month before his death. 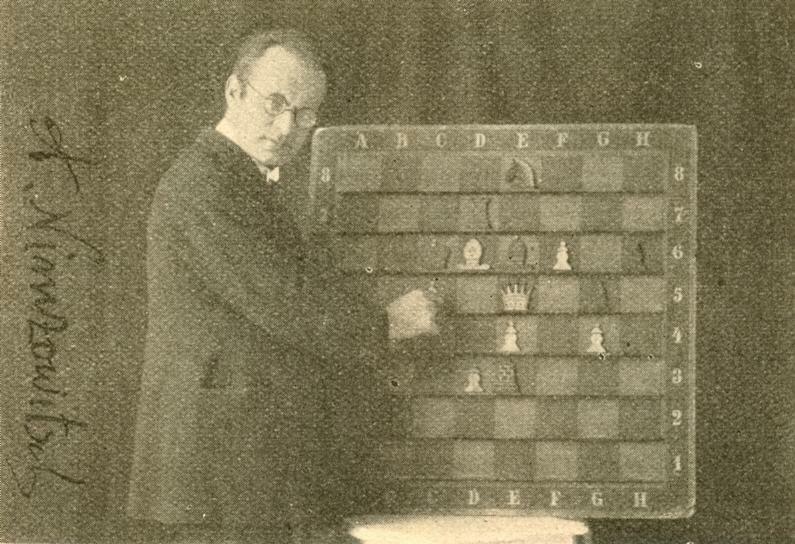 This photograph was published on page 10 of the American Chess Bulletin, January 1927. Does the board position come from a known game? 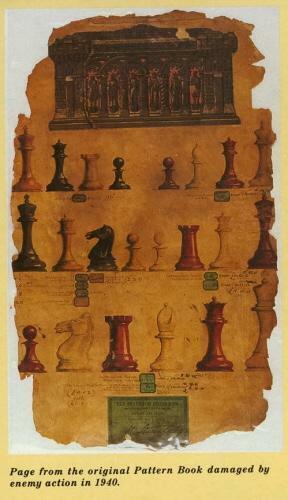 Who is this chess writer and historian?